Bouie was the main reason Quillette author Razib Khan did not get a job at the New York Times. When I mentioned on Twitter that my blog posts about Khan had been used by Bouie in his Khan takedown, Claire Lehmann freaked out. 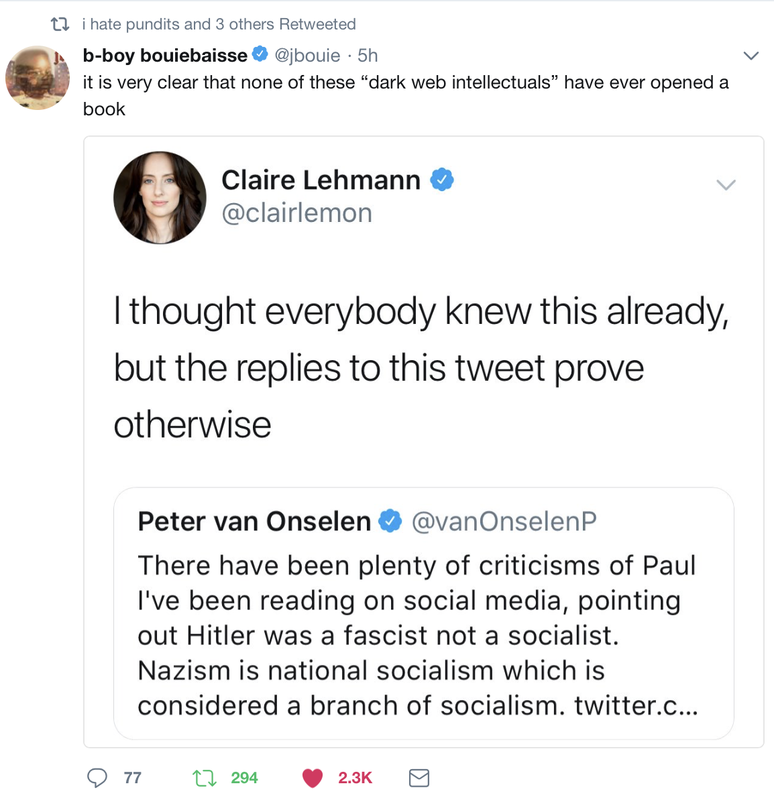 I've been hoping that Bouie would focus more attention on Quillette and the "Intellectual Dark Web" and it looks like he's doing it.